The recent wave of international terrorism, which has swept across the world over the last couple of years, is a strong reminder that no region, not even remotest corner of our planet is secure. January 2016 has seen deadly blasts in different cities - from Turkey to Indonesia - taking too many innocent lives. Following terrorist attacks in Jakarta, RIAC gives an overview of extremist organizations present in the ASEAN countires. The creation of the Islamic poses a direct threat to the security of ASEAN (Association of Southeast Asian Nations) countries because it stimulates local Islamic extremist groups, which have for decades harboured plans to create a Salafi Caliphate in Southeast Asia that would include the territories of Indonesia (the world's most populous Muslim country), Malaysia, Singapore, Brunei, the South Philippines and Southern Thailand under the name of Daulah Islamiah Nusantara. The fight for such a state involves much violence and terror. Fresh terrorist acts in the region inspired by followers of ISIL cannot be ruled out. Nineteen groups in Indonesia, five groups in Malaysia and three groups in the Philippines have declared their support for the terrorist organization. Indonesia has had terrorist jihadist Islamic groups for decades. They have long-standing contacts with international terrorist groups such as al-Qaeda and today are ready to pledge allegiance to the Islamic State. All these extremist organizations are one in denying the democratic state system, which they want to see replaced with a Sharia state. Is the largest terrorist organization in the region, with branches in Malaysia, Singapore and the Philippines. It resorts to terrorism to promote its project of creating an Islamic Caliphate in South East Asia. After JI masterminded an explosion on Bali Island in 2002 it was put on the UN's list of terrorist organizations linked to al-Qaeda and the Taliban. It is banned in Indonesia, Malaysia, Brunei, Singapore, Thailand, the Philippines, Australia, Argentina, Canada, Kazakhstan, the United Arab Emirates, the United Kingdom, the United States and Russia. JI has its roots in Dar al-Islam (the Land of Islam), a radical Islamist movement that sprang up in Indonesia in the 1940s during the national liberation struggle against Holland. JI was created as a confederation of Islamic groups on January 1, 1993 by Abu Bakar Bashir and Abdullah Sungkar, who were then hiding in Malaysia from the Indonesian authorities. After the fall of the Suharto regime in 1998 they returned to Indonesia, where JI joined terrorist activities sponsored and guided by al-Qaeda. JI members took part in ethnic and religious conflicts in Indonesia and helped plan terrorist attacks in Singapore. The organization caught international attention after a terrorist bombing on the holiday island of Bali in 2002 that killed 202 people and wounded another 300, most of them foreigners. JI has also been named responsible for organizing a series of terrorist attacks in Indonesia from 2003 to 2009, most notably bombings at the J.W. Marriott and Ritz-Carlton hotels in Jakarta in 2003 and 2009, the Australian Embassy in Jakarta in 2004, and Bali in 2005. JI also took part in preparing and organizing terrorist attacks in the South Philippines together with the Abu Sayyaf terrorist group. JI is convinced that only terror can create a Sharia Caliphate in Southeast Asia. Since 2007, it has had a special unit of political assassins that targets prominent politicians, judges, police and military officers who take part in counter-terrorist operations. At present, JI is split into two factions, one which continues to carry out terrorist activities and the other, which focuses on religious preaching. Both, however, have the goal of creating a Sharia state in Indonesia. They also share radical Salafi Islam ideology. 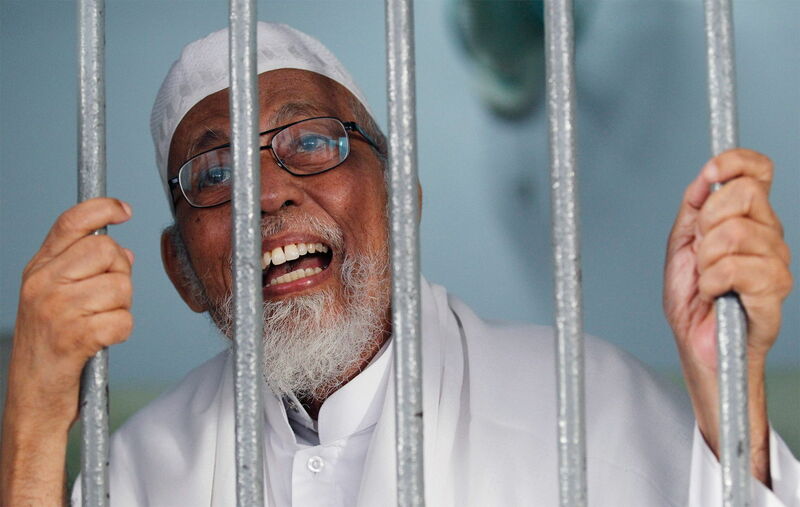 Until his arrest in 2011, the spiritual leader of JI was the organization's founder and the father of Indonesian Salafi extremism Abu Bakar Bashir. In 1972, he co-founded the Pesantren Al-Mukmin religious school with Abdullah Sungkar, where he preached Salafi Islam and political extremism in the spirit of the Dar al-Islam movement, of which he was a member. Many graduates of that school later joined the ranks of JI, which was created by Abu Bashir in the early 1990s during his exile in Malaysia. He joined the jihad after returning to Indonesia after the fall of the Suharto regime. Abu Bashir was convicted of masterminding the explosion at the Marriott Hotel in Jakarta in 2005, but spent just one-and-a-half years in prison. Upon his release in 2009, he founded a new extremist organization called Jamaah Ansharut Tauhid (JAT). He was again indicted of organizing a jihadist military camp in Aceh in 2011. He is currently serving a 15-year sentence, but this has not prevented him from releasing a video from prison pledging his allegiance to the Islamic State. An influential figure in JI until his arrest in Thailand in 2003 was Riduan Isamuddin, also known as Hambali, who is responsible for carrying out military operations and planning major terrorist attacks. He received his military training in Afghanistan, where he fought on the side of the mujahidin in the 1980s. He acted as a liaison man with al-Qaeda, being its head of operations in East Asia. He was also in charge of distributing funds from al-Qaeda. He is currently a prisoner in Guantanamo. The majority of JI leaders were either seized or killed by Indonesia's Detachment 88 counter-terror squad. Zarkasih, who was appointed emir of JI after the arrest of Hambali, was arrested in 2007. Its top leaders also included the most wanted terrorists in Southeast Asia: Azahari Husin (killed in a clash with police in 2005) and Noordin Mohammad Top (killed in 2009), who were both originally from Malaysia. Azahari Husin, a British-trained engineer, was the chief explosives expert. Mohammad Top, a former accountant, was behind the 2003–2004 terrorist attacks in Jakarta and the 2005 attacks in Bali. Several former JI leaders, such as Malaysian extremist and Afghan war veteran Nasir Abbas, renounced violence and even started helping the Indonesian and Malaysian authorities track down and arrest terrorists. In the early 2000s, JI had more than 5000 members. Today, that figure has shrunk to 1000. They are radical Muslims who consider themselves to be victims of a global anti-Islamic conspiracy led by the United States and its allies Australia, Great Britain and Israel. The nucleus of the group are Islamic extremists who fought in Afghanistan in 1985–1995. Once out of the combat zone, they continued their jihadist activities in Indonesia and neighbouring Malaysia, Singapore, Thailand and the Philippines. These veterans recruit and indoctrinate new members, mainly from areas of ethnic and religious strife. New members and supporters of JI are sent to special courses, typically at Salafi pesantrens, where they are indoctrinated in radical Islam ideology, as well as to military training camps. A major role in uniting the organization is played by family and kinship links that go beyond Indonesia and spread to Malaysia and Singapore, thus strengthening JI's regional contacts. JI militants are recruited in various ways: through preaching at mosques; indoctrinating students at madrasas and religious boarding schools; disseminating jihadist literature; and through local radical groups and social networks. The governing system is strictly hierarchical. At the top of JI stands the emir. Four councils answer to the emir – the managing, religious and disciplinary councils, and the council that issues fatwas. JI has divided the whole country and Southeast Asia into territorial zones called mantiks. Mantik I is responsible for Singapore and Malaysia; Mantik II is responsible for Indonesia (not including Sulawesi); Mantik III is active in the Philippines, eastern Malaysia, Sulawesi and in the eastern part of Kalimantan Island; and Mantik IV is responsible for Australia. There is a division of powers between them, with Mantiks I and IV dealing with financial matters, Mantik III indoctrinating and training fighters and Mantik II carrying out the actual terrorist acts. Each mantik has several underground terrorist cells of four to five people forming a hierarchical structure. The cells are usually led by the disciples of the JI founders or Afghan war veterans who fought on the side of the mujahidin. The second level are field commanders and the lowest level are the fighters who are sometimes recruited to carry out one-off terrorist attacks. These are usually young men trained at Islamic schools linked to Dar al-Islam. JI is currently decentralized because of the internal split and the loss of its leaders as a result of arrests or death. It has split into individual mantiks and cells, which can operate independently of one another, thus making counter-terrorist operations against them more difficult. The network-style character of JI makes it easy to compensate the losses caused by police actions. Its main group, Mantik II, has switched its activities from large-scale terrorist attacks on foreign citizens to pinpoint attacks on important local facilities. While sticking to the jihad idea, JI today recognizes the need to fortify its preaching mission to broaden its social base in Muslim communities and recruit new members. Indonesian radicals from JI have links with international terrorist organizations (such as al-Qaeda) as well as with regional organizations such as Abu Sayyaf, the Moro Islamic Liberation Front, Misuari Renegade Group (MRG/MBG) and the Philippines Rajah Sulayman (RSM) movement. These links are not formal or organized and are based on personal relationships struck up during spells in Afghanistan, at training camps in Pakistan, on Mindanao, etc. What they share with JI is the main goal of creating an Islamic state in Southeast Asia as part of the single worldwide Islamic Caliphate. In spite of the international actions to freeze the assets of terrorist organizations, JI is still capable of supporting its activities financially thanks to the money coming from various Islamic funds in the Middle East and individual donors such as Ali Khelaiv Abdudah and Muhammad Jibril, contributions made by its supporters and members, as well as money allocated by al-Qaeda, which has set up its "investment" base in the region. Without the support of this international terrorist structure, JI would have ceased to exist. Because of the difficulties that have arisen in recent years in drawing support from international sources, JI has been enlisting criminal sources to finance its cells. Smugglers and pirates help to deliver weapons to Indonesia. Criminal elements are involved in terrorist attacks on banks from which more than 2 billion rupees (about $133 million) have been stolen. Jamaah Ansharut Tauhid, a breakaway group from JI, has become the new political face of the jihadists. It was declared a terrorist organization by the U.S. Department of State and the United Nations in 2012. It was founded in Solo in Java in 2008 by Abu Bakar Bashir after he was removed from the post of JI emir. Unlike JI, JAT was designed as an umbrella structure with nine branches in western Java, eastern Java, central Java, Banten, Jakarta, eastern Nusa Tanggara, Sumatra, Aceh and Makassar. These branches do not form a hierarchy and do not report to Abu Bashir. The organization has between 3000 and 5000 members and is open to anyone who wants to see a Caliphate created in Indonesia and shares the Salafist–Jihadist ideology. JAT declares that violence used for these purposes is justified by religion if it is directed against the enemies of Islam and apostates, among which it counts Indonesian judges, prosecutors, police and, outside the country, the United States. JAT rejects democracy, liberalism, secularism, socialism and communism. Its activities, apart from struggling to create an Islamic Sharia state, are aimed at reviving the Islamic movement in Indonesia by holding public seminars and rallies, publishing books and spreading information via the media. After JI was banned in 2010, JAT practically assumed all its operational functions, rallying all the JI militants around it. It has become the kingpin of the Jihadist movement in the country. JAT has claimed responsibility for several major terrorist attacks since 2012, including the murder of police officers, suicide bombings in Cirebon and Solo, and blowing up a boarding school in Bima (link in Indonesian). JAT has a special paramilitary unit called Laskar 99, which was until recently led by Abu Bashir's son Abdul Rosyid Ridho, who fought in Afghanistan on the side of al-Qaeda in 2002. Laskar 99 has been recruiting new fighters, including suicide bombers. The organization's spiritual leader is thought to be its founder, Abu Bakar Bashir, who, despite serving a 15-year prison sentence for organizing a militant training camp in Aceh, continues to be JAT's chief ideologist. After his arrest in 2010, the organization's head became Muhammad Akhvan, who was sentenced to 15 years back in 1985 for blowing up a Hindu temple on Java. In 2012, he was put on the UN list of international terrorists linked with al-Qaeda. He held the post of emir until the summer of 2014 when, together with the two sons of Abu Bashir – Abdul Rahim and Abdul Rosyid Ridho – he withdrew from JAT to create a new organization Jamaah Ansharusy Syariah (JAS), which took in 50 per cent of the former JAT top leadership. The split was brought about by their disagreement with Abu Bashir's position in supporting the Islamic State. They oppose the killing of Muslims, but advocate the creation of an Islamic Caliphate. They condemn the Islamic State for choosing the wrong methods for achieving this goal. However, the real reason for their refusal to support the Islamic State is that many JAT leaders have close contacts with Jabhat al-Nusra, a terrorist organization that is linked with al-Qaeda and is feuding with the Islamic State. Previously, JAT sent its militants to fight for Jabhat al-Nusra, hoping that when they come back they would share their military experience with Indonesian Jihadists. There is a further motive for the split of JAT and the emergence of the new JAS extremist group, and that is the survival of Jihadists in the face of tightened state control over JAT activities in the wake of its declaration of support for the Islamic State, followed by the arrest of many of its leaders. There are grounds for thinking that the emergence of JAS is a stratagem aimed at strengthening the Jihadists' social and financial basis, for example, through broader contacts with international terrorist organizations. The goals and ideology of JAS are similar to those of JAT, namely, the creation of a Sharia Caliphate and the Islamization of Indonesia, and they will not hesitate to use violence to achieve these goals. JAS leaders claim that it has more than 3000 members. JAT obtains resources for buying arms and carrying out terrorist activities by robbing banks and engaging in other criminal activities. The most dangerous extremist organization in Indonesia today is Mujahidin Indonesia Timur (MIT) also known as East Indonesia Mujahidin. The United States banned it as a terrorist organization in 2015. MIT was formed in 2010–2011 at the initiative of JI. It is made up of local militants who were involved in the religious conflict in Poso (Sulawesi) and has since been led by Abu Warda Santoso as an umbrella organization of Indonesian Jihadists who use violence to pursue their goal of creating a Sharia Caliphate in the country. This brings it closer to JI and other extremist groups in Indonesia, as well as to the Islamic State, for which Abu Warda Santoso and other MIT members have declared their support. While some of its fighters, especially those trained in the camp organized by Abu Bashir in Aceh, have links with international terrorist groups, MIT is on the whole a Trans-Indonesian organization which has its main bases in Java and Sulawesi, as well as units scattered all over the country. The organization's leader, Abu Warda Santoso, who used to be a commander with JI and later JAT, and who still earlier took part in the religious conflict in Malucca in 1999–2002, is considered to be the most wanted terrorist in Indonesia. MIT claimed responsibility for a series of terrorist attacks on Sulawesi that targeted civil servants and police officers whom, just like JI and JAT, it considers to be apostates deserving of the severest punishment. Its ranks today number several hundred, of whom 50 are directed by Abu Warda Santoso himself who is hiding in the jungles of Poso and Palu in the central part of Sulawesi. 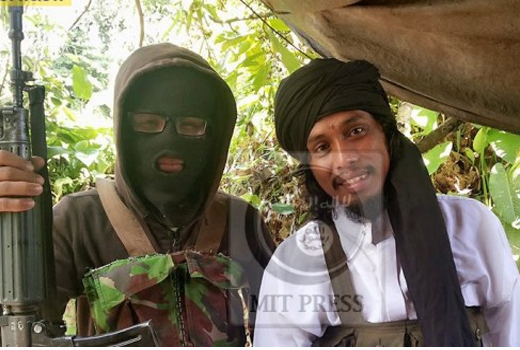 Despite suffering heavy losses recently as a result of successful counter-terrorist actions carried out by Indonesian forces, MIT continues to recruit new fighters, some of whom have been trained at pesantren. MIT has no known links with international terrorist organizations, including al-Qaeda, and therefore does not receive funding from them. It funds its activities by robbing banks, jewellery shops, post offices and currency exchange points, and by hacking into the websites of organizations engaged in foreign trade. Counter-terrorist activities are carried out by the special police unit called Detachment 88 in cooperation with the military. Their aim is to eliminate terrorist cells, strike at training camps, liquidate the militants and arrest persons suspected of terrorist activities. A total of 950 terrorists have been killed and a further 90 arrested over the past ten years, which has greatly weakened terrorist groups in the country. But it has not eliminated them entirely. Ideological ─ educate the public on the fact that the the Islamic State doctrine is hostile to the values of Indonesian society. The history of Indonesia attests that radical Islamism in that country tends to recover and revive by regrouping and creating new extremist organizations. The most aggressive terrorist–separatist organization in the Philippines is Abu Sayyaf, which has declared its support for the Islamic State. Abu Sayyaf is on the UN list of terrorist organizations and is banned in Australia, Canada, the United Arab Emirates, the United Kingdom and the United States. It is active mainly in the Southern Philippines, on Mindanao Island and the Sulu Archipelago. The latter is the home of the Moro Muslim minority, which uses violence and terror to fight for the creation of an independent Islamic state. The political base of Abu Sayyaf is the Moro National Liberation Front (MNLF), which has been fighting the central government since the 1970s for the creation of an independent Islamic state in the Sulu and Basilan provinces. The founding of Abu Sayyaf in 1991 is associated with the name of Abdurajik Abubakar Janjalani, who, upon returning from Afghanistan in the 1980s where he fought on the side of the mujahidin, decided to unite radically minded MNLF members after the latter decided to start negotiations with the national government. Abdurajik Abubakar Janjalani was the leader of Abu Sayyaf until his death in December 1998 as the result of a shootout with the police. He was inspired by the idea of carrying out an "Iran-style" revolution in Southeast Asia. A former teacher in Basilan, he spent several years in Libya, Syria and Saudi Arabia, where he studied Islamic theology and Arabic before setting out to fight on the side of the mujahidin in Afghanistan. After his death, Abu Sayyaf split into two factions, one headed by his brother Khadafi Janjalani (1999–2006), and the other by field commander Galib Andang. Khadafi Janjalanai introduced changes to the organization's terrorist tactics, turning to organized crime. In 2006, he was put on the United States' list of most wanted terrorists along with two other Abu Sayyaf leaders, Isnilon Totoni Hapilon and Jainal Antel Sali. Khadafi Janjalani was shot and killed by Filipino government troops in a clash in 2006. After his death, Abu Sayyaf split into several small combat groups which had no central command and were based on family and kinship relations. They concentrate on kidnappings for ransom. The more notable figures in Abu Sayyaf today are: Isnilon Totoni Hapilon, who declared his support for the Islamic State in 2014; Radullan Sahiron, a field commander; Abdul Basir Latip, the main liaison man with JI (arrested in 2009); and Yasser Igasan, the current Abu Sayyaf leader. 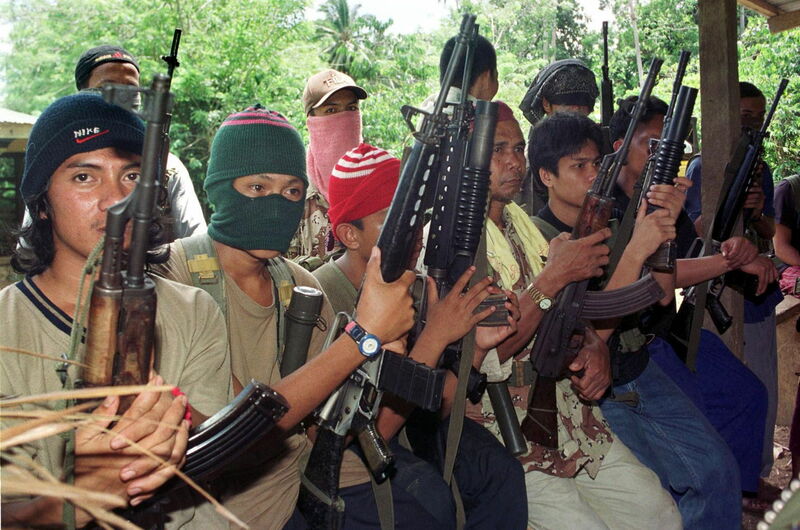 Abu Sayyaf is the smallest (200–400 fighters) but most militant Islamist group in the Philippines. Its members call themselves mujahidin and the fighters for Moro liberation, but have very little social backing in Muslim communities. People are scared away by the group's radicalism and their combat methods. Therefore, Abu Sayyaf is formed on the basis of family, kinship and personal friendship. On the one hand, this ensures that Abu Sayyaf is a cohesive unit and enables it to survive as a terrorist group. On the other hand, it limits potential for expansion. In line with its declared goal of creating an independent Sharia state, Abu Sayyaf engages in sabotage activities in the Southern Philippines, which includes occupying territories, staging high-profile terrorist acts (the ferry explosion in 2004, which claimed 116 lives, is considered to be the world's biggest terrorist attack at sea), carrying out minor explosions and attacks on police and army units, murdering officials and taking hostages, mainly foreigners and Christians. In recent years, Abu Sayyaf, while still paying lip service to Jihad, has mainly been engaged in criminal activities: burglaries, kidnapping for ransom, extortion and drug dealing, which makes it akin to organized criminal groups. However, from time to time, Abu Sayyaf makes headlines by staging explosions in various parts of the country, mainly on Mindanao. Between 1994 and 2013, Abu Sayyaf carried out 280 terrorist attacks, of which 45.7 per cent were explosions, 33.9 per cent were kidnappings and 21.1 per cent were armed attacks. Since September 2014, Abu Sayyaf militants have been kidnapping people for ransom "in the name of the Islamic State". Abu Sayyaf's growing interest in criminal activities is fuelled partly by a desire for personal gain among the organization's members and partly because the international terrorist organizations that sponsored its foundation have cut off financing. Abu Sayyaf's primary donors were Osama bin Laden, his son-in-law Mohammed Jamal Khalifa, who in 1988 headed up the Philippines branch of the International Islamic Charitable Organization, and Muammar Gaddafi. The latter disguised his material support for Abu Sayyaf as so-called development aid to the southern parts of the Philippines in the amount of $25 million in exchange for hostages taken at a Malaysian holiday resort in 2000. More than once Gaddafi gave money to Abu Sayyaf under the guise of charitable or humanitarian aid. From the time it was created, Abu Sayyaf established close ties with al-Qaeda, which rendered it financial and military assistance. As for the Islamic State, so far no links with Abu Sayyaf have been reported. At the regional level, close links exist with JI and JAT, whose fighters are trained at Abu Sayyaf camps. In return it gets funds and logistical and military support from Indonesian terrorists. At the local level, it maintains undisclosed contacts with the Moro Islamic Liberation Front and the Moro National Liberation Front, although both claim that they do not recognize Abu Sayyaf. The 2004 ferry attack carried out by Abu Sayyaf marked a turning point in the government's actions against the terrorist organization's military wing. It now has the backing of 1600 U.S. special forces troops stationed in the Southern Philippines. However, their mission is strictly limited to training Filipino security forces in accordance with Philippines law and international treaties that prohibit U.S. soldiers from being directly involved in military operations. These operations are carried out by Filipino military and police forces, which raid militants' camps and free hostages. Due to the fact that Abu Sayyaf refuses to talk with the government, and because it prevents negotiations from taking place with other separatist organizations in the south of the country, the Filipino authorities are forced to use military force exclusively in fighting this terrorist group as part of its Peace and Security Plan (2011–2016), which so far has not yielded the desired results. Thailand occupies a special place among the Southeast Asian countries that are exposed to the threat of the spread of Jihadist movement. For the last half century, it has been under threat of separatists and radical Islamists who advocate the creation of an independent Islamic state of Patani in Southern Thailand, in the areas bordering on Malaysia. Hatred of the Thai people led to the creation of a clandestine network of Jihadist organizations that have no common name or leader. However, unlike Islamic extremists in other Southeast Asian countries, they are not involved in international jihad and have no links with the Islamic State or al-Qaeda, declaring that they do not need them. They consist mainly of young men calling themselves mujahidin. Many Thai jihadists have received religious training at madrasas in Pakistan and military training at Taliban camps there. Muslim extremists in Southern Thailand carry out more terrorist acts every year than jihadists in Yemen and Somalia: 17,000 attacks, mainly by fighters of the Patani United Liberation Organisation (PULO) between January 2006 and April 2014. They set off 280 bombs every year. The struggle for independence, which they have stepped up in the past ten years, has claimed 6200 lives, more than the number of dead in the Gaza Strip in the same period. Acting under the banner of restoring the independence of Patani, the jihadists kill not only soldiers, but also Buddhist monks, teachers (170 have been killed), tourists and moderate Muslims, whom they regard as "collaborationists and traitors". The latter account for 60 per cent of the terror victims. Rebels are hiding in every village and killings take place every day. The main terrorist groups active in the area are Barisan Revolusi Nasional – Koordinasi (BRN-K), Runda Kumpulan Kecil (BRN-K's military arm), Pejuang Kemerdekaan Patani (which has links with BRN-K), GMIP (Gerakan Mujahidin Islam Patani) and PULO. At present, BRK is the most powerful militant group. It seeks to bring its strength to 400,000 Salafi Muslims. BRK recruits members through mosques and Islamic schools advocating the creation of an area not controlled by the central authorities. They use well-trained fighters who kill soldiers and civilians. Pejuang Kemerdekaan Patani fighters may be linked to Barisan Revolusi Nasional – Koordinasi, but they act in villages on their own, representing the new generation of separatists. Runda Kumpulan Kecil, one of the main military units of BRN, is noted for the particular cruelty with which it carries out terrorist acts. Its fighters, most of whom are very young, stage bold attacks on soldiers and civilians, start fires, set up booby traps on roads and explosive devices in crowded places. After perpetrating a terrorist attack, they hide in Malaysian territory. The group's secrecy and high mobility impede counter-terrorist actions again them. Like BRN-K, launched its terrorist activities after 2001, seeking to create a transnational Islamic caliphate. It is ideologically close to that of al-Qaeda. Also known as Bersatu, was formed in 1989 with the aim of becoming the head organization coordinating rebel activities in the South. However, after the arrest of its leaders in 2004, it ceased to exist as a coalition. It has survived as a terrorist group, however. PULO is a nationalist movement formed to create an independent Patani state by any means, including armed struggle. Dominated by Salafists, its strategy has shifted from the strictly nationalist goal of reviving Patani towards creating an Islamic Caliphate, a trend fuelled by the predominance within the group of young people who have links with more radical Islamic terrorist groups that have effectively taken over PULO. In recent years, its leaders have lost some of their influence on the rebel movement in Southern Thailand. The police and army have proved powerless to interdict the acts of terror and quash the separatist movement. The rebels have grown bolder and stronger as successive governments failed to suppress them. There is a real danger of the Islamization of Southern Thailand, which meets the interests of radical Islamists operating in Indonesia, Malaysia and the Philippines that have the support of al-Qaeda – and now the Islamic State. There are 19 terrorist groups in Indonesia affilated with the Islamic State. 15 groups swore allegiance to the Islamic State leader Abu Bakar al-Baghdadi. Five groups, including Darul Islam Sabah, have declared support for the Islamic State in Malaysia. Three groups in the Philippines have declared support for the Islamic State. One of them, Abu Sayyaf (a branch of Isnilon Hapilon), has sworn allegiance to Abu Bakar al-Baghdadi. Produced by: Daria Khaspekova, Maria Gurova, Maria Smekalova, Alisa Zamurueva, Alexander Teslya and Dmitriy Puminov. Reuters, EPA and AFP pictures are used.